Bon Jovi fans listen up – here’s your chance to be the band’s official tour photographer for a day when they hit New Jersey in July. 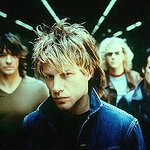 A new auction on CharityBuzz.com is giving you the opportunity to photograph Bon Jovi at MetLife Stadium in New Jersey and spend the day behind-the-scenes with the band’s official tour photographer David Bergman. •	Two floor tickets to the Bon Jovi show on July 24th at MetLife Stadium in East Rutherford, NJ. Show tickets will be in the first 20 rows on the floor outside of the pit. Proceeds from the auction will benefit The Anderson School, PS 334, a K-8 public gifted & talented school on the Upper West Side of Manhattan in New York City. To access the auction, which ends on May 1, click here.